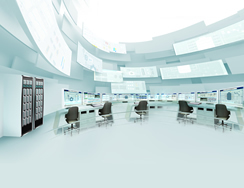 The line of functionality between SCADA and DCS is blurring. These two traditionally disparate technologies are now seen as competitors in similar application environments. Here Frank Horden, business development and marketing manager at Yokogawa, argues that the changing nature of globalisation means that there are still distinct benefits in using SCADA as an umbrella layer on top of a DCS core.